Make connections and learn new skills at the only conference exclusively for idtPlans software users. 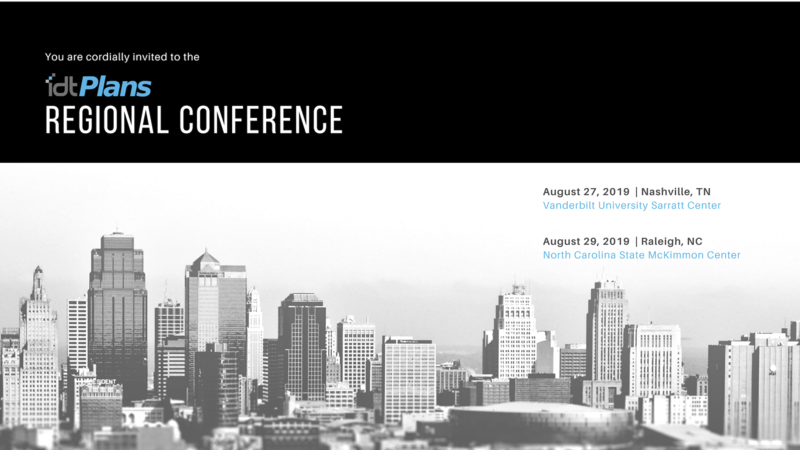 This is a one-day, no cost event for idtPlans users to be held on Tuesday, August 27, 2019 in Nashville, Tennessee. Join us to learn about new features, network, and share ideas about your idtPlans platform. Meet local users and company executives. Broaden your knowledge and take your company’s investment in idtPlans to the next level. We’ve got your breakfast and lunch covered! This is a one-day, no cost event for idtPlans users to be held on Thursday, August 29, 2019 in Raleigh, North Carolina.